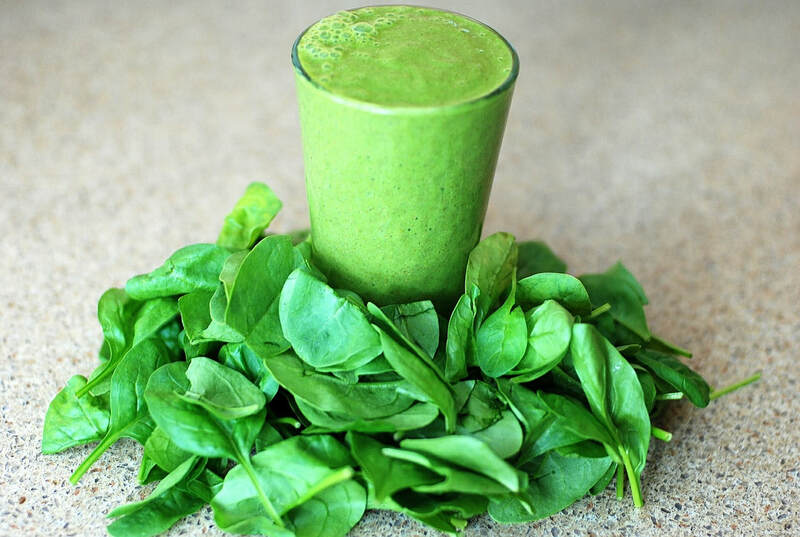 Growing your own spinach gives you the makings for healthy smoothies, fresh salads or for steaming and serving as a side dish. This tasty vegetable grows quickly and requires little care. Try fresh spinach instead of lettuce in your favorite summer sandwiches. Light: Spinach requires full sun for 6 to 8 hours a day. Although it will survive on less sunlight its growth may be stunted. Choose a location for spinach in direct sunlight. Keep in mind that the hours of direct sunlight do not need to be consecutive. Don't worry if your bed is shaded for a portion of the day as long as the total hours of sunlight adds up to six to eight hours. Preparing the soil: Till the soil to a depth of 8 to 10 inches and remove rocks, roots and other debris. Rake the area smooth with a garden rake. Amending the soil. Add a 2- to 3-inch layer of compost or well-rotted manure to the garden bed. Work this in with the garden tiller or hand tools. Organic matter improves aeration, promotes good drainage and adds slow-release nutrients to the soil. Fertilizing: Sprinkle 5-10-10 or 10-10-10 fertilizer over the prepared garden bed following the recommended application rate on the container. Work this into the top six inches of the soil with a rake or hoe. Planting: Plant spinach in the spring as soon as the soil can be worked. Sow seeds to a depth of ¼ to ½ inch spaced two to four inches apart. Space rows 18 to 24 inches apart. Cover with soil and firm down with the back of the hoe to secure the seeds. Watering: Water thoroughly after planting and keep the soil moist until seedlings emerge. Reduce watering to once or twice a week once the seedlings are two inches tall. Generally, spinach requires watering when the soil feels dry 1 inch below the surfaces. Weeding: Mulch with organic matter, such as grass clippings, to create a weed barrier and to maintain moisture. Otherwise, pick young weeds as soon as they emerge and cut larger weeds to the ground level with a sharp hoe. Harvesting: Harvest spinach when the leaves are four to six inches high. Some prefer to harvest only outer leaves to allow the tiny leaves in the center to grow. Others cut spinach at the ground level. Which you prefer is up to you.